Forgot to post this card last night! So silly of me. 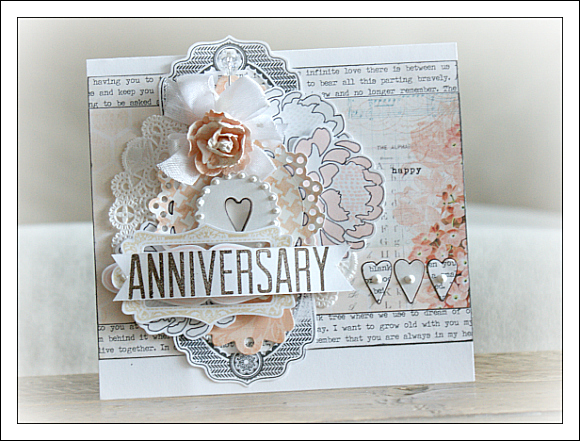 For this card, I used the I've Got Your Number set (also from TCM), to stamp the anniversary title. It is a set that I've enjoyed playing with many times since it first arrived at my doorstep! 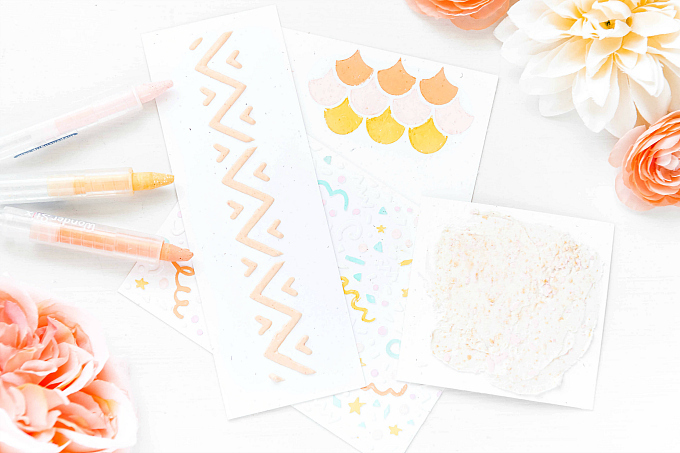 It is so versatile and lovely to have - truly a staple for any stamp collection. 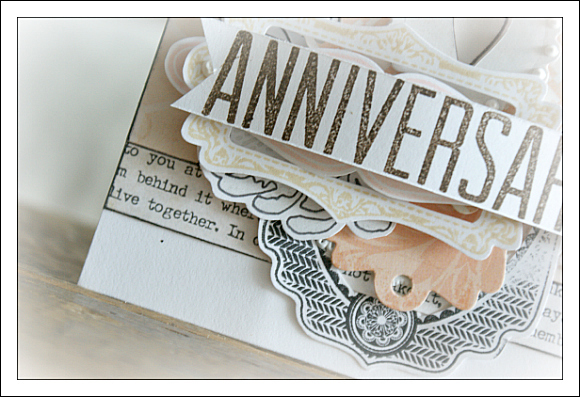 Just below all the layers, I've also used the Sew Lovely stamp set to create the black label. The papers on this card are by My Mind's Eye and Echo Park. 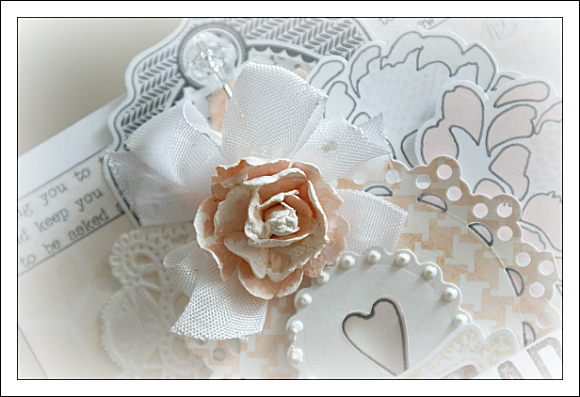 And no card of mine would be complete without a flower or a ribbon, so they have both made an appearance on this card! Sending the happiest, loveliest thoughts your way! I love these cards!! So fantastic!! 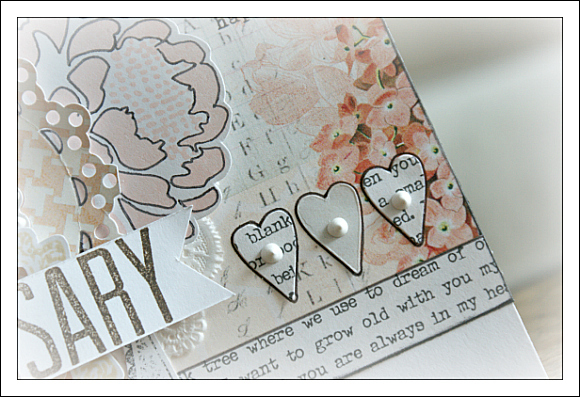 Love these cards and the heart accents.